Reasons Why Calle Crisologo is a Must Visit Place When You Are In Vigan City. Mena Crisologo or Calle(Street) Crisologo, more than just cobbled-stone street and Spanish houses. 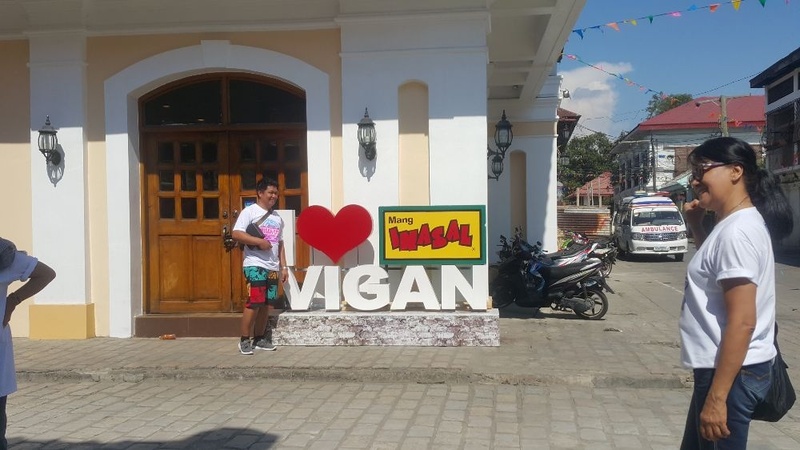 I don’t usually visit this part of Vigan City since it has always been filled with tourists, both local and foreign. But since I was around the area after making a reservation to a restaurant in the area, I walked along the street like the tourists were doing, taking photos and checking almost every shop. Being a resident near the city is does not mean I know everything and already explored the place, and I felt like I have been missing a lot in the area. The feeling of being a stranger on a place you almost grow up with was quite awkward and being treated like a tourist showed me the warm hospitality of my fellow Ilocanos. So, I acted like one, joined a group of tourists to “cover” my shyness a bit and explore the city’s famous street, the Calle Crisologo. Before I share my little exploration along the cobbled-stone street, let me share a brief history of the place before it became UNESCO’s heritage site. CALLE CRISOLOGO: Few things about the street. The street is named after, Mena Pecson Crisologo one of the most-respected sons of the Ilocos region, hence the name Mena Crisologo Street or Calle Crisologo. Mena Crisologo wrote "Mining wenno Ayat ti Kararwa”(Mining or Love Spiritual Love), which many compare to Jose Rizal’s Noli Me Tangere; an Ilocano translation of Don Quixote entitled Don Calixtofaro de la Kota Caballero de la Luna, and a zarzuela entitled Codigo Municipal. 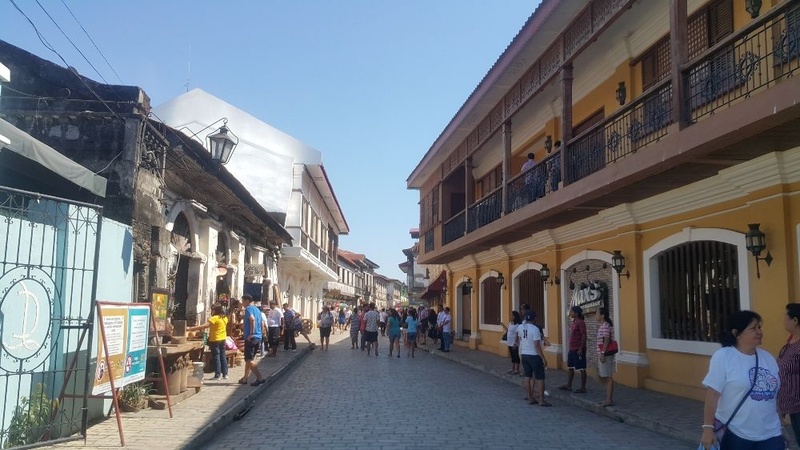 The famous street can be found on Vigan City, Ilocos Sur. The street is filled with Spanish-style houses that evoke a bygone era when its people lived prosperously because of the Manila-Acapulco maritime trade. The houses are simple but lovely subjects ready for picture-perfect shots with their roofs of red tiles, thick walls, huge doors and staircases leading to rooms of high ceilings and sliding capiz shell windows. Having survived the many natural and man-made calamities throughout the centuries, the families who own these treasures have endeavored to maintain them. Now, let me tell you the reasons why visiting the famous street are a must. 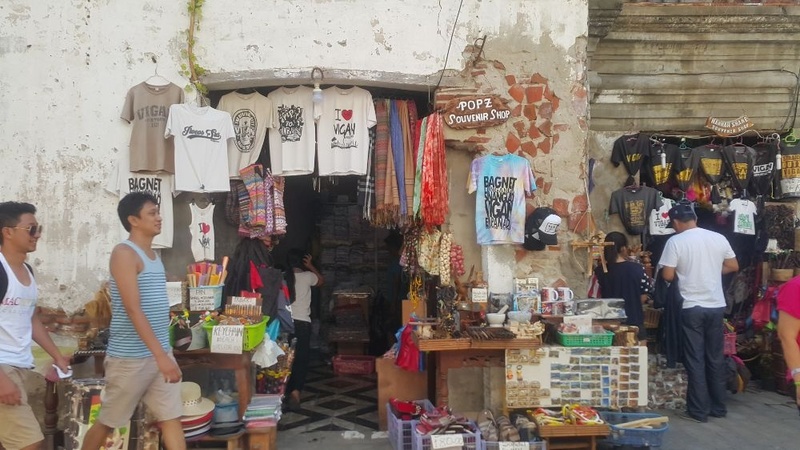 Reasons Why Calle Crisologo is a must visit in Vigan City. 1. You cannot get hungry while walking along the street of Crisologo. One of the things I noticed while walking along was, the street is you definitely get your eyes filled with nice scenery and your stomach full too. 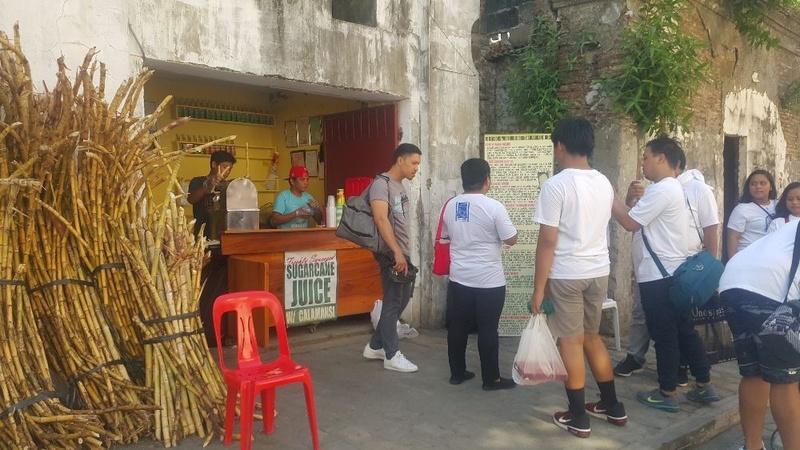 On both sides of the street, tourists can surely enjoy the walk without getting hungry and there are a lot of choices to choose from, whether local delicacies or just a simple snack. Along the street of Crisologo is where you can find one of the country’s restaurant franchises, Mang Inasal. Mang Inasal, (Hiligaynon for "Mr. Barbecue") is a barbecue fast food restaurant chain in the Philippines, established in Iloilo City in 2003 and known for their offer of unlimited rice. 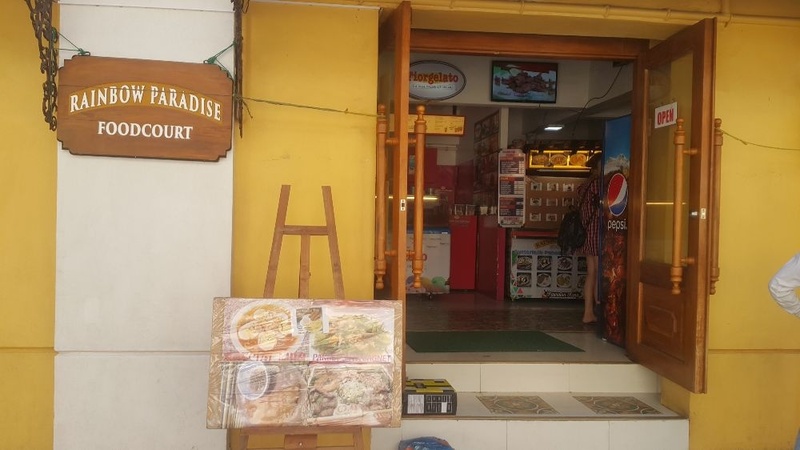 There is a food court too, the Rainbow Paradise Food Court that offers different cuisines and snacks. And since you are in Ilocos Sur, there is “Lampong’s Restaurant”, a restaurant that offers Ilocano dishes. 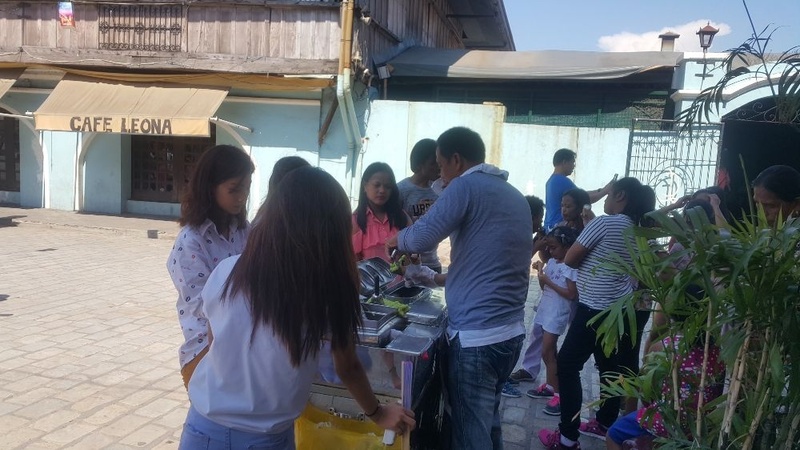 May add to the famous dirty ice cream that you can grab quickly, and another must try to taste and enjoy is the sugar cane juice, there is one stall near the end of the street. 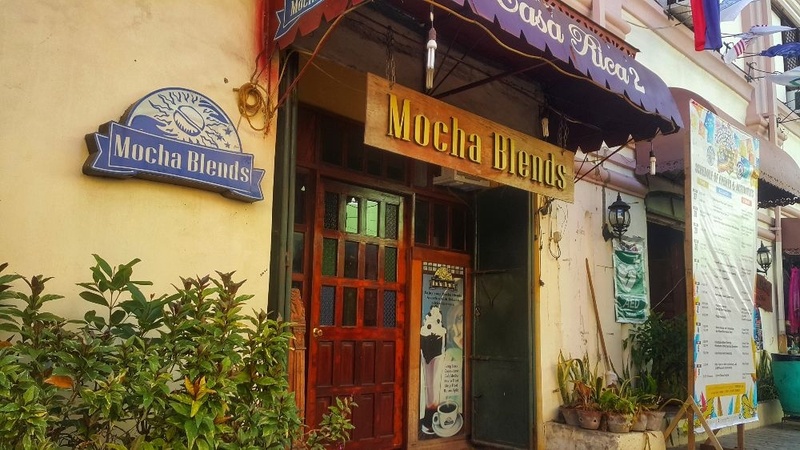 If you are a fan of coffee shops, Mocha Blends and Coffee Break, these shops can give you the zing you needed any time of the day. Vigan Empanada shouldn’t be missed right? Irene’s Empanada can make you eat some and if you wanted some waffles or bread, Belgian waffles and Heritage Bakery is around the street too. 2. Your eyes will be filled with the beauty of old furniture or old stuff. To have an antique shop along the heritage street is just a perfect place to see, and check and chance to buy one or two or more. The feeling of traveled back in time seems to be possible when you are inside those shops and you can get a lot of choices too. Yes, walking along may mean buying some of your “pasalubong” or take home souvenirs for your family and friends or officemates. There were a lot of shops where you can buy items that surely remind you of Vigan City. Most shops offer souvenir shirts with a lot of different designs. Some offer brims or hats that can keep you cool while enjoying the city. And they are locally made. 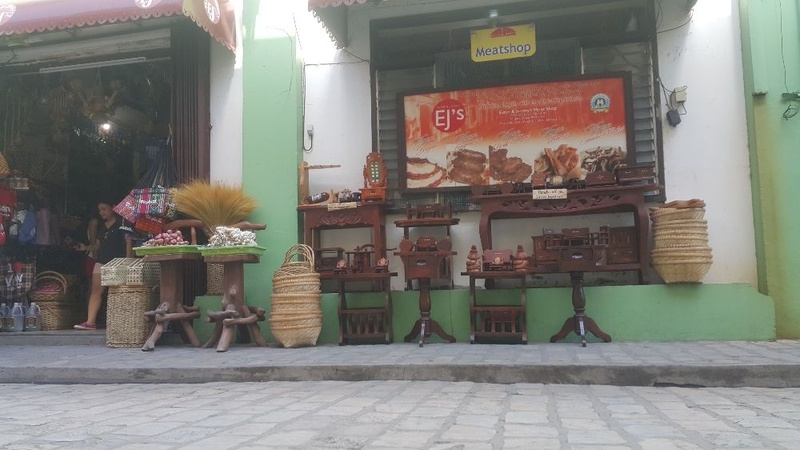 Not just some items that remind you of Vigan city but the whole province as well, from the local abel ( a traditional woven product) to the handcrafted buri hats and bags. In addition to those products are the famous local pork sausage or longganisa, and other local meat products. 4. The sight of horse-driven carriage running will make you travel back in time. Calesa or horse-driven carriage is the only ALLOWED mode of transportation or that can only pass along Calle Crisologo. Think about of those fairy tales, minus of course the pumpkin carriage and also, there is this music into my ears every time the feet of the horses touch the cobbled-stone. The lamps on the sides are adding more drama as you try to think about what it is like hundreds of years ago. 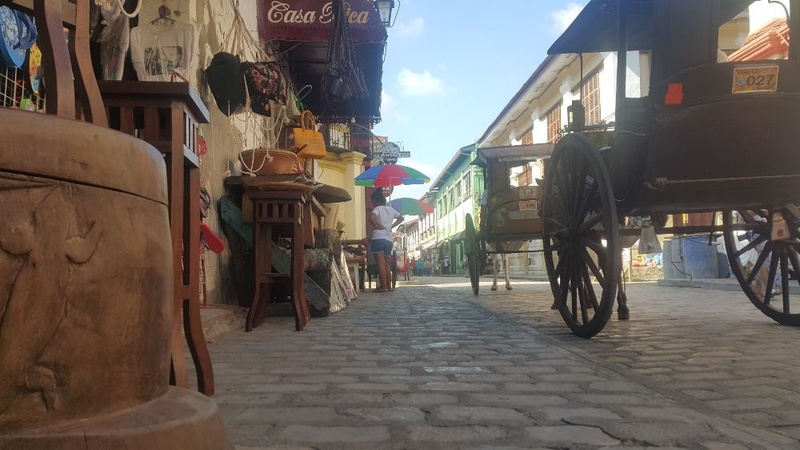 I have fun walking along and looking around the heritage village known as Calle Crisologo. It is a “complete package” area of the city. 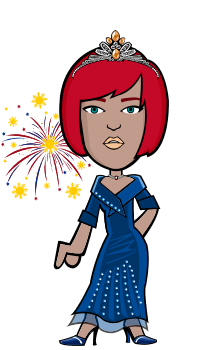 There are so many things to do, see and to enjoy and buy too. The only thing that I took notice of was that tourists would be more aware of those horse-driven carriages. The less than an hour that I spent walking and observing, the horse has always been put on a halt to avoid accidents, or the “kutsero” or driver should signal through making a sound for a warning. Tourists should be more watchful and if possible walk along the side then take a selfie or picture of themselves when the street is all clear. All in all, it is always nice to check the place, visit and buy something for I have enjoyed my dirty ice cream as I walk along. 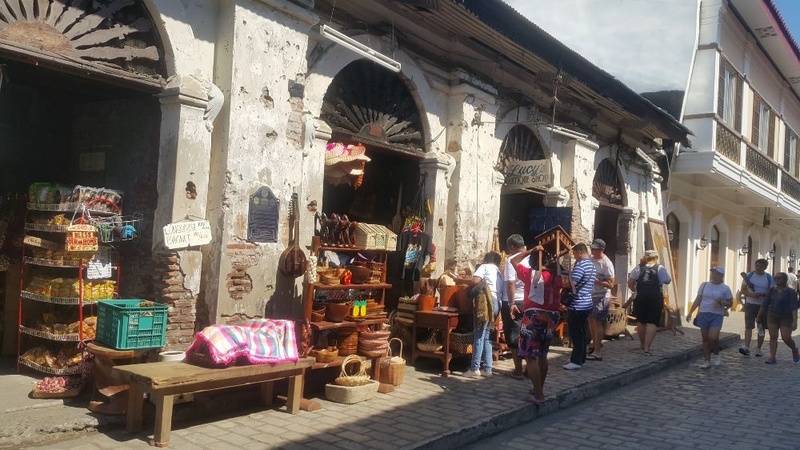 This video shows Calle Crisologo in Vigan City! I'll visit that place one of these days. I wish to visit one day.. one day..